One of the reasons we procrastinate on the things we don’t enjoy doing is it feels like a bigger job than it actually is. 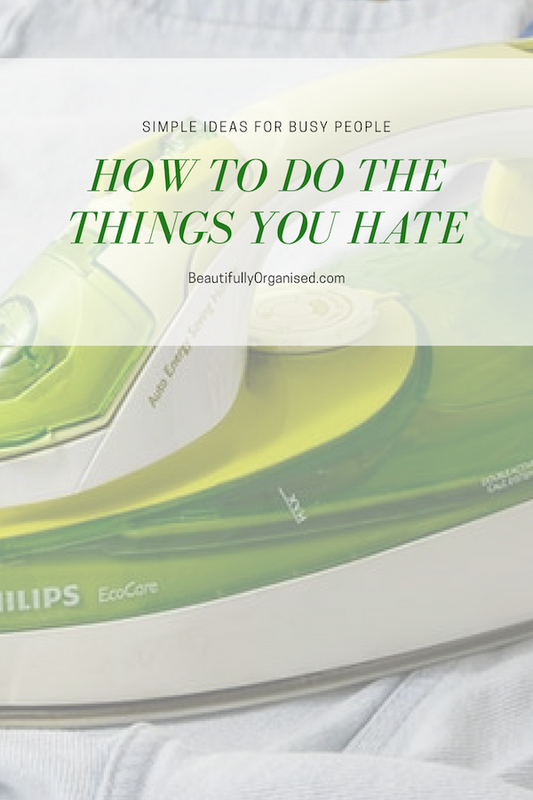 Even daily chores, like doing the dishes, seem like a big deal when you don’t enjoy doing it and it’s a job that you need to do over and over again. The simple solution is to just take the first step. Once you do, you’ll find it’s easier to take the next step, and from that point, the job doesn’t seem so big and overwhelming, and you usually breeze through it in less time than you thought it would take. With our dishes example; Start by telling yourself you don’t have to do all the dishes, you just need to scrape off the plates and empty the glasses. Once that’s done, it will feel easier to just think, well, I’ll just stack like items together ready to wash when I feel like it. After that, it’s no big deal to fill the sink with soapy water, telling yourself you’ll just wash the glasses… and cups….. And then you’ll find plates aren’t a big deal either. As you continue, the job gets smaller and you find your momentum building. Then all of a sudden, you’re done! Worst case scenario, even if you don’t finish, you’ve taken positive steps to making the job less overwhelming and easier to complete later.